During the Nuclear Power boom of the late 1960’s and 70’s, industries rushed in to design, fabricate and supply safety related components under a 10CFR50 Appendix B Quality Assurance Program. 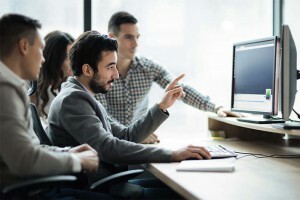 During this period, the technology life cycle could be 20+ years in which these items would be supported and replacement parts to maintain them available. As things slowed in the mid-80’s and throughout the 90’s, many equipment manufacturers began to focus their efforts on providing products for larger commercial markets where they had the freedom to innovate instead of being bound by the 10CFR50. Maintaining the nuclear fleet with new technology and where existing equipment is no longer supported is a challenge in an industry in which plants were originally designed and licensed 30+ years ago and are now being granted 20 year life extensions. To illustrate this point, nuclear plants used to record data on strip chart recorders which had scrolls of paper and pens capturing a number of things like process temperatures, flows, pressure, etc. As these technologies have innovated into digital format the parts and supports of the strip chart recorders are no longer available. The nuclear plants had no choice but to accept and use the new technology. NTS then performs commercial grade dedication activities and supplies these items to our nuclear clients as “basic components”, or being safety related. In addition to these models which have different sizes and capabilities, NTS has also qualified a variety of adapter plates so that when the old item is removed from the control board, there is a structural plate which will envelope the vacant panel cutout. This will house the recorder which is smaller, more compact, and lighter in weight than the item it replaces. NTS has worked with several utilities in customizing solutions which will minimize the impact on any plant design changes. These modifications have included the design, fabrication, qualification and supply of plant specific custom cases so that use of the existing plant infrastructure is maximized. Additional examples of equipment obsolesce solutions that NTS has qualified for nuclear safety related applications are: Yokogawa YS-1700 Digital Controllers, Diesel Monitoring System, 812 Timing Relays, Flasher Relay, and Motors. 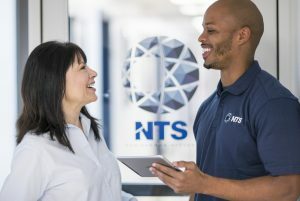 As technology changes and more and more items become obsolete, NTS will continue to support our clients in qualifying new technology and help maintain the nuclear fleet so it can produce safe, reliable and no carbon emission electricity.